When I was young, I can’t say I was incredibly inventive when it came to making things out of LEGO blocks. It was mostly this kind of house, or that kind of house, and “skateboard that only has wheels in the middle because that other piece either got eaten by the dog or actually up and walked out of the house.” But people more accomplished than I have been doing amazing things with them in the past few years, and I think this is the dawn of the Golden Age of LEGO. Maybe someone greater than all of us came back in time to make this so, or maybe it’s all an effort to cancel the apocalypse. 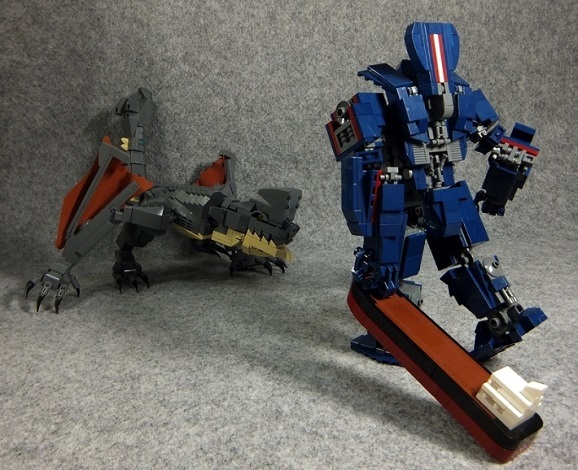 Either way, these unofficial Pacific Rim figures look incredible, and anyone who wants to is now able to submit Doctor Who projects to LEGO Cuusoo, the user-submitted concept site. One of the most fun movie going experiences of last year was Guillermo del Toro’s massive monsters versus mechs adventure Pacific Rim. 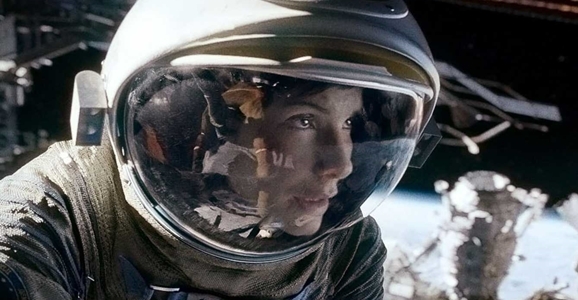 The film has the giddiness of a child playing with toys, making them fight, loudly. In this case they just happen to be really big, really expensive toys. I’ve watched it three or four times since it’s been on Blu-ray, and each time it’s still a total blast. Pacific Rim isn’t going to win any awards for writing or acting, but it probably should for special effects, despite a snub from the Academy Awards. Seriously, The Lone Ranger made the cut but not Pacific Rim? That just screams travesty. A lack of statues doesn’t do anything to diminish Industrial Light and Magic’s visual achievement, and this new feature from the Verge, chronicles just how they constructed one of the movie’s big action sequences. One of the biggest battles between the monstrous Kaiju and the skyscraper-tall mechanical suits called Jaegers, takes place in the streets of Hong Kong. In true monster movie fashion, the joint gets wrecked up all to hell. Building are knocked down, streets are torn up, and an oil tanker even gets used as a baseball bat, which I’m pretty sure was not taken into account when they designed that sucker. On its own, Edgar Wright’s The World’s End is a fantastic movie, and one of my favorites of the 2013. Doing for science fiction what he did for zombie movies and testosterone-fueled cop films in his previous flicks, Wright manages, yet again, to defy expectations. Even knowing what you know about his work and approach, especially when teaming up with co-conspirator Simon Pegg, The World’s End is not the movie most people anticipated. 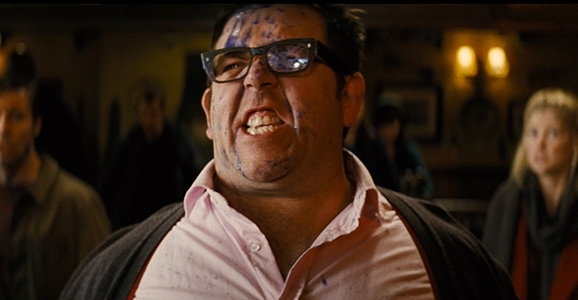 Nowhere is this more apparent in Nick Frost’s character, Andy Knightly. When it comes to musical instruments, there are few on Earth more legitimately badass than a guitar, with its seemingly infinite versatility in both an acoustic and electric capacity. But the musical battlefield has a recent arrival that threatens to rise above its underdog status to take over the world. I’m talking about the Tesla coil, obviously. (What, you thought I was referring to the keytar?) You can watch and listen to a pair of coils performing the rock anthem main theme from Guillermo del Toro’s Pacific Rim above. Consider this a holiday parting gift, since Santa couldn’t fulfill your request for eternal life as the most powerful being in the universe, or that hat you wanted. While it’s unclear whether or not Warner Bros. and Legendary Pictures might eventually greenlight a sequel to this past summer’s Pacific Rim, director Guillermo del Toro and screenwriter Travis Beacham are already working on the sequel’s screenplay. Although Pacific Rim received a mixed critical response and a mild box office reception in the United States, the giant robots vs. giant sea monsters flick was a big dumb hit elsewhere in the world, namely in China and Japan. 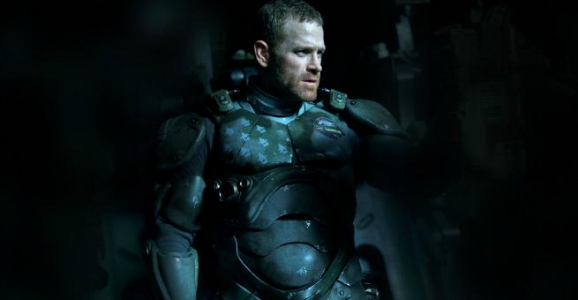 Now an actor from Pacific Rim is shedding some light on the would-be sequel’s direction. It’s funny, I fell in love with this character (Herc Hansen). The key component was this relationship I had with my son, exploring the dysfunction and the loss, so where does Herc go from here? I don’t know. It’ll be interesting to see where Guillermo (del Toro) and Travis Beacham take it. I don’t know if it’s a prequel or a sequel, but if it’s a prequel you’ll learn more about Herc’s family history. But Guillermo has such a vivid imagination, it could go anywhere.